The charm of Madrid is elusive, but for those who know how to find it, Madrid has magic. Its magic can be found in the shadow cast over the present by the past. 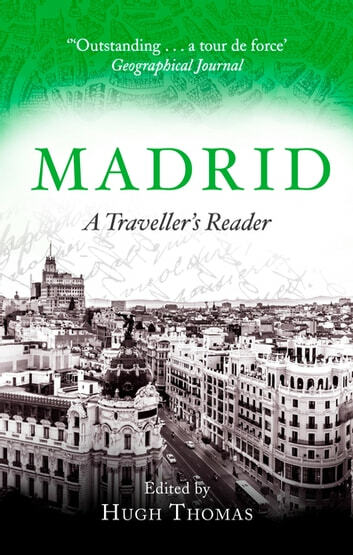 In this Traveller's Reader, a city that was once the seat of power for perhaps the most ambitious political enterprise the western world had seen since the fall of Rome, the Spanish Empire, is brought to life in vivid diaries, letters, memoirs and histories. The Earl of Clarendon describes seventeenth-century bullfights; Salvador Dali plays a surrealist joke on a snooty barman at the Ritz; Rubens visits the Alcázar; Manet is at the Prado; generals and anarchists meet in the Puerta del Sol. The many stories included here evoke for today's tourist the dramas and personalities of a city's past, by drawing on the eyewitness accounts and commentaries of visitors and residents of earlier centuries. Hugh Thomas has chosen these and other vivid snapshots of Madrid's history from diaries, letters, memoirs and novels across five centuries to delight and fascinate the armchair and prospective traveller alike.